The Honorable Al Gore presenting the keynote address at Greenbuild 2009 (Photo by Beth Pratt)After an exhausting day spent browsing the expansive tradeshow or sitting in several educational sessions, Greenbuild participants headed to Chase Field for an opening celebration, which included a keynote address from Al Gore and a special concert from Sheryl Crow. U.S. Green Building Council (USGBC) President and CEO Rick Fedrizzi opened the event and spoke to the crowd about the importance of leveraging green buildings to “improve lives, heal our planet, and ensure our future.” He introduced green building leaders from throughout the world—Australia, South Africa, Canada, United Kingdom, New Zealand, Germany, Italy, India, Mexico, Taiwan, and Brazil—who all shared engaging stories of sustainable projects in their countries. Sheryl Crow giving a special concert at Greenbuild (photo by Beth Pratt)Climate change transcends politics and party lines, he asserted: “We’re all in this together—we don’t need to be fighting about this.” He quoted an African proverb: “If you want to go quickly, go alone. 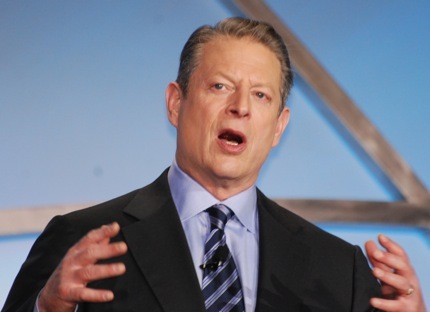 If you want to go far, go together.” Gore ended his address with a message of hope: “We can solve this crisis. We have the tools we need to solve three or four climate crises and we need to only solve one.” He urged the audience to take action so when future generations look back to this critical juncture, they’ll be able to consider us with admiration for finding the moral courage to solve the issue of climate change. After his speech, Gore returned to the stage to welcome (and hug) singer and fellow environmentalist Sheryl Crow, who entertained the Greenbuild audience with an hour-long concert that included most of her popular songs. During “Are You Strong Enough to be My Man,” Crow ad-libbed to ask the crowd, “Are you strong enough to recycle? Are you strong enough to drive a Prius?” And to prove that even “tree huggers” can rock, she finished the show with an energetic cover of Led Zeppelin’s “Rock and Roll” and the audience shouted every “been a long time, been a long time” right along with her.